The sky was blue. The air was clear. The goldenrod and purple loose strife were in full bloom. The corn stalks were rustling in the breeze. I was feeling restless and needed to get out and shop. So I headed down Route 34B from Auburn to King Ferry – about a 17 miles drive through rolling pasture lands - to check out a new shop, Only A Paper Moon, The Studio at the Moon Bake Shoppe. 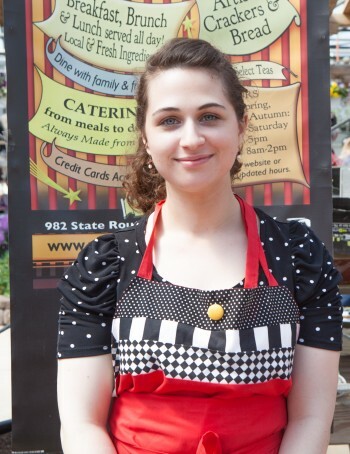 Annie and Anastasia, the mother/daughter team which owns both operations, are diversifying from the café and all those tasty treats and opened the shop which offers “an eclectic selection of gifts and wonderful things”. Right now the shop is only open on Saturdays and Sundays from 10 am to 2 pm. Check the website for updates. If eclectic is your style, this is the shop for you. There are one of a kind cards, vintage quilts, hand-turned wooden bowls, custom made tiles for kitchens and bath, ceramics, framed art & prints, bags and funky aprons. I am sure you will find a perfect accent for your home. The gals tell me that new things are arriving every day. They love to search out objects d’art for the space. I must confess I also stopped in Sherwood at Cleaveland’s Antiques for a quick browse as well. Advertised as having “fine old stuff!” including sterling, glassware, china, and flatware, vintage clothing, jewelry, books, furniture, art and frames, I was not disappointed. I also found fabric, trims and a huge collection of vintage enamel ware and tin ware including pitchers, plates, bowls, coffee pots and such. I almost bought a canister set with French lettering to describe the contents. There is a second floor chock full of knick knacks, tchotchkes, clothing racks, all sorts of furniture and what not. 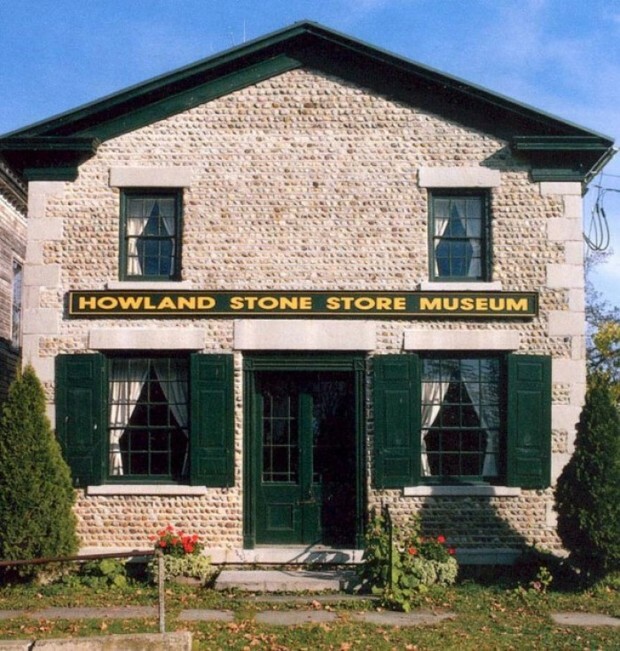 You might even stop next door at the Howland Stone Store Museum to learn a bit about educator and feminist Emily Howland and other early suffragettes in Cayuga County and the Finger Lakes Region. The museum is open June – September on Thursdays and Saturdays from 1 – 4 pm. There are also wonderful, educational lectures offered throughout the year. Check out the website for dates and details. I will be attending the November lecture on the Quakers. Each shop has wonderful and friendly staff who are happy to help you and talk about the area. A nice afternoon drive in any weather. Each summer, Rte. 90 hosts a huge – and I mean huge – Garage Sale in July which is miles and miles long and offers just about anything from household goods to tractors and – well everything. I noticed a sign for the Rte. 34B Garage Sale on Saturday, September 6. I am sure it will be an adventure too! Going back home, I stopped at one of many farm stands and picked up some perfectly ripe and juicy tomatoes and corn on the cob. Good Saturday night supper at my house. I bet pumpkins and squash will show up soon. Happy antique shopping in Cayuga County and the Finger Lakes!